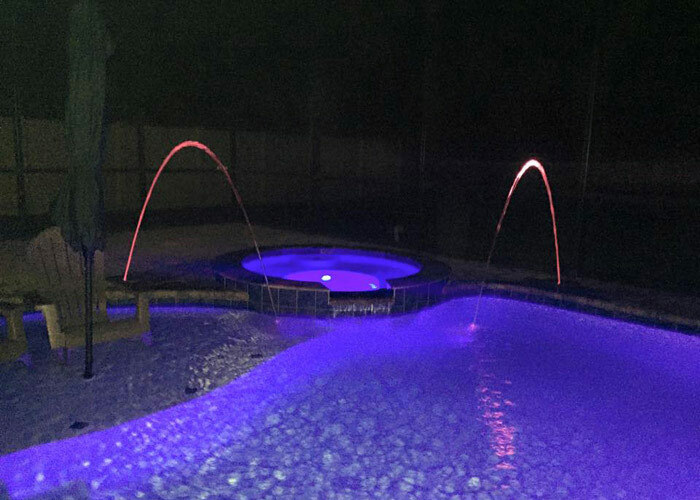 Installing lights in your in ground swimming pool or surrounding area is the easiest way to enhance its appearance and make it look modern and contemporary. LED Lighting will not only make your pool more attractive, but will also allow you to enjoy your pool even after the sun has set. The choices of colored lights are only limited by your imagination and we can install your lights in multiple locations to totally transform your outdoor space.